Rising star Haley Lu Richardson will next be seen in The Chaperone in which she plays legendary silent screen star Louise Brooks. The movie directed by Michael Engler also stars Elizabeth McGovern. In 2018, Richardson could be seen in writer-director Chris Weitz's Operation Finale, starring opposite Oscar Isaac and Ben Kingsley. That year, she also starred opposite Regina Hall in the film Support The Girls which premiered at the SXSW Film Festival. In 2017, Richardson was seen starring in Kogonada's highly acclaimed Columbus, which premiered at Sundance to rave reviews. Her heartwarming performance earner her a nomination for Best Actress at the Gotham Independent Film Awards, and the film received Independent Spirit Awards nominations for Best First Feature, Best First Screenplay and Best Cinematography. 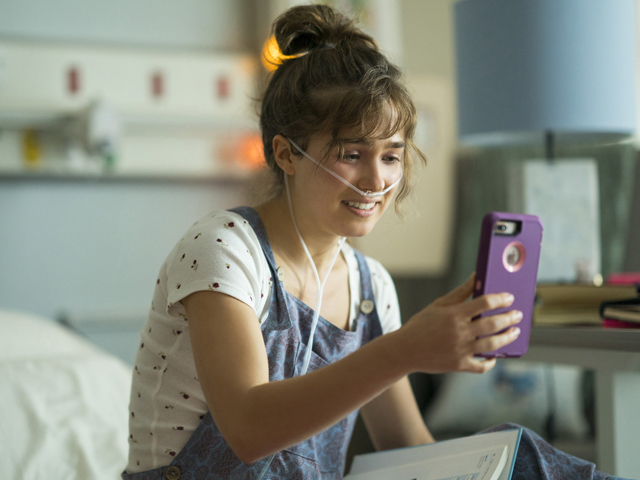 Haley Lu Richardson's other credits include starring roles in M. Night Shyamalan's Universal Pictures' thriller SPLIT with James McAvoy and Anya Taylor-Joy as well as the comedy The Edge Of Seventeen with Hailee Steinfeld, Woody Harrelson and Kyra Sedgwick. Richardson burst onto the scene with her breakthrough performance in Sony Pictures Classics' The Bronze where she plays an aspiring Olympic gymnast. The movie was written by Melissa Rauch who also stars in the pic that premiered at Sundance to great critical praise. A former competitive dancer, Haley Lu Richardson currently resides in Los Angeles.